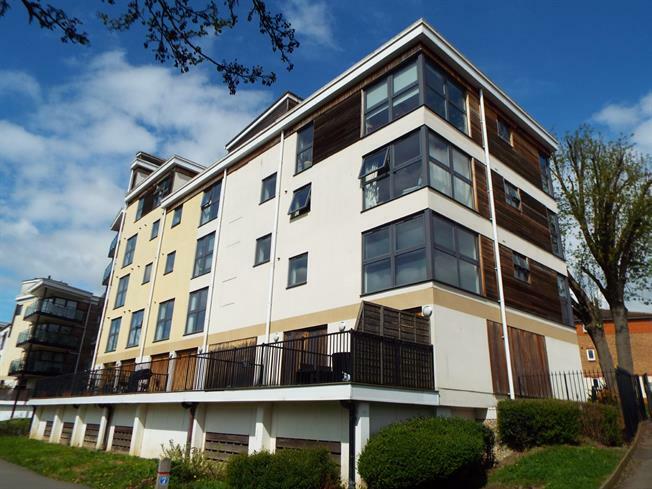 2 Bedroom Flat For Sale in Maidstone for Offers Over £180,000. A second floor apartment with gorgeous river views and no forward chain. With two double bedrooms, the master bedroom benefitting from an en-suite shower room. There is an additional family bathroom and a stunning open plan kitchen/living room with incorporated hob, oven and extractor, fridge/freezer and washer/drier. This stunning double aspect room enjoys amazing views of the River Medway. This block also benefits from a lift, cycle store and an allocated parking space..